Looking to stay warm and visible while open water swimming in chilly water? 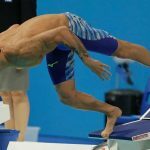 Here’s a breakdown of the best neoprene and skull swim caps for cold water swimming. 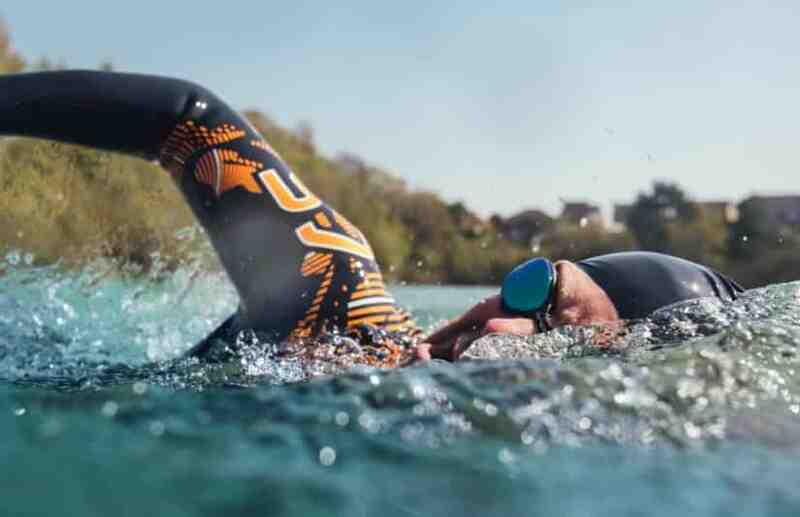 When it comes to swim gear for triathletes and open water swimmers there is no shortage of ways to accessorize your swimming, whether it’s putting on a pair of dinner plate-sized paddles or boosting your leg strength and kick speed with some training fins. The variety doesn’t stop with fins and paddles, as even something as basic as a swim cap comes in different forms for different functions. 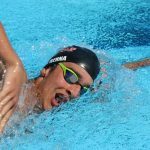 Choosing the best swim cap comes down to what kind of workout you are doing. A latex or silicone cap are ideal for pool workouts, or when swimming in warmer waters. 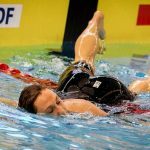 Latex is cheap and breathable, making it ideal for the “hot-headed” person, while silicone is thicker and more durable, placing it as a good choice for colder pools, and even some “warmer” open water swimming. Neoprene caps, however, are made specifically to keep your head extra warm during really cold open water swimming (water temperature below 60-65 degrees Fahrenheit, or 15 degrees Celsius). See also: 7 Buoys for Open Water Swimming. Stay safe, visible and even store your valuables with these open water swimming buoys. These caps are made from the same material as triathlon and swim wetsuits and operate much the same way. Get a little water between your head and the cap, and your body will warm the water, giving you an added layer of insulation that will keep your head nice and toasty. Neoprene swim caps have a similar look—a full cap design with a chin strap to keep it firmly in place. 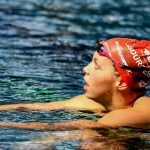 Additionally, many of them, including some on our list of best neoprene and skull swim caps, are designed in bright, hard-to-miss colors so that you are easily visible to other swimmers and boaters out in the water. Tip: Not a fan of the look of the neoprene cap? Find them to be a little too toasty for your head? 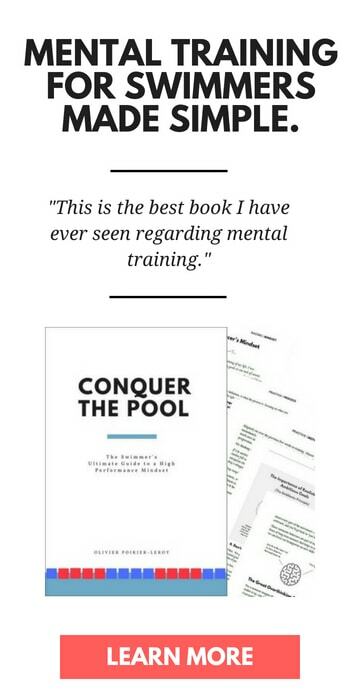 Try using a silicone swim cap. They are thicker and less breathable than your standard latex swim caps, and also very durable. 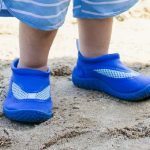 Alrighty, with all the basics behind us, let’s dive into our list of top neoprene caps for open water swimming! 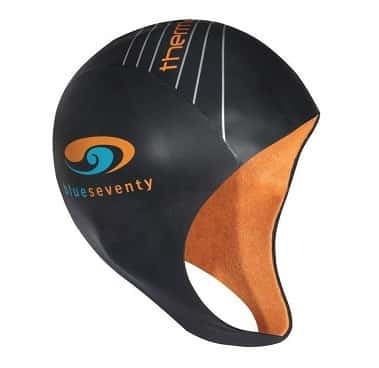 The blueseventy Thermal Skull neoprene cap is the warmest of the neoprene caps on this list and comes in as our number one pick. The cap is constructed with an added Zirconium internal jersey to keep your head nice and toasty. 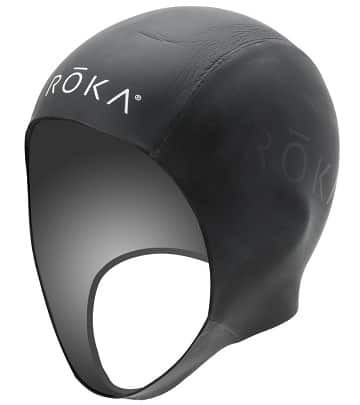 Roka is one of the more popular manufacturers of gear for triathletes, and their neoprene cap is a clean and solid addition to their line-up of equipment. All blacked out, with the three panels stitched and glued together to give a head-fitting shape. The cap is 3mm thick, make of neoprene with a hydrophobic nano coating. Will a neoprene cap keep my hair dry? No. Swim caps are not designed to keep your hair dry. 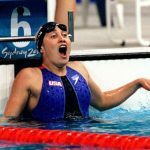 It astounds me how often swimmers and triathletes will throw their arms in the air after using a swim cap where their hair gets wet. 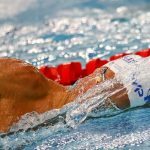 Swim caps have a bunch of functions—keeping your head warm, keeping your hair from littering the pool, protecting your hair from chlorine—but keeping your hair perfectly dry is not one of them. The Orca cap is designed particularly for open water swimmers who do not plan on putting an additional cap over their neoprene layer. 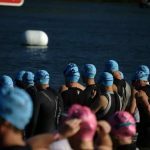 While in competition all athletes, whether open water swimmers or triathletes, are supposed to wear a cap over the neoprene cap. That makes the Orca High Vis cap an ideal choice for training. 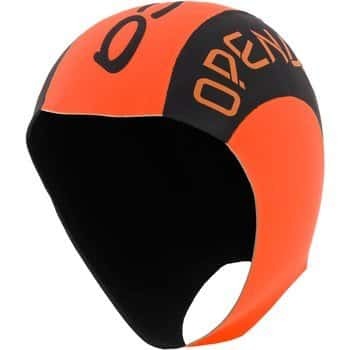 Safety and visibility are a real concern when it comes to open water swimming, particularly in the ocean and in conditions where it’s not that sunny out, and this cap, with it’s bright, pylon-orange sticks out plenty! 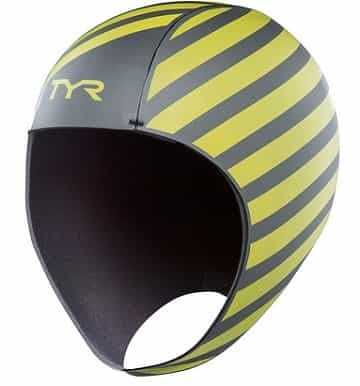 Another one of the “can’t miss me!” caps is this offering by popular swim manufacturer TYR. With yellow and grey lines along the cap, which look like road hazard paint, you will be able to keep your head warm and stay visible under challenging water conditions. This cap performed well in cold ocean teperatures, and if you don’t mind going for the safety-first look, the TYR High Vis neoprene cap is right up your alley.